This section urges all Church members to evangelise. Priests are not to confine themselves to liturgy, religious orders are not to limit themselves to prayer, and the laity are not to consider religion either a priestly or "a private affair" but are to join lay groups, both open and secret. Those with "political and economic" gifts are to use them for the Church. By the Slovak Bishops Conference, 10 May 2001. A) There are two Church provinces in Slovakia, and six dioceses with Latin liturgy and one diocese with Byzantine liturgy and an apostolic exarchate. Since 1990 all of the bishops’ seats are filled (seven diocesan Bishops, one exarch, and eight auxiliary bishops). B) The Bishops Conference of Slovakia has been confronted with the daunting task of healing the wounds inflicted by persecution during the totalitarian epoch and to “once more pump blood” into all vital organs of the Church. C) A bishop-shepherd is one who manifests his love to the resurrected Christ, the good shepherd. His position to the world is lead by shepherd’s pastoral love, which shapes his inner, dynamic principle capable of combining the manifold activities of a prelate. D) Pastoral love is basically a service in a full essere per, through existing for others donating his own personality, as well as donating himself to the Church. Pastoral love helps him to get know the expectations, needs, problems and sensitivities of those he serves. E) The pastor announces the message of Christ’s love. This is the essential position, represented by every bishop. The divine vocation is knowledge through love, which gives and unites. To know something and know it properly (cf. 1 Kor 8:2), should be the accompaniment to all pastoral activities. The starting point is the humility of a servant of Christ. The human condition and the deepest pastoral commitment to evangelisation are not contradictory. The knowledge gained through love is not derived from scientific knowledge. The pastoral knowledge is linked with the union felt with one’s own people through invisible and indissoluble fetters. In this pastoral love the other one becomes in his whole being a part of the pastor’s heart. Independently of the greatness and ambition of that part of the people of God, which has been entrusted to the bishop, he should take special care in the formation of his priests. Between him and them is a special link, resulting from the fact that the priests receive the gift of priesthood from his hands and they share with him the pastoral care of the people of God. This makes for the special responsibility of Bishops for the formation of the priests. a) The Council recommends: It is necessary above all that the arch-shepherds of the Christ’s flock fulfilled their duties in sanctity, eagerly, humbly, as behoves men following thus the pattern of the supreme and eternal Priest, the Shepherd and Bishop of our souls. A service thus fulfilled will become also for them an excellent route toward sanctity (cf. LG 41). b) Each bishop should feel aided and invigorated in his task by his brothers – bishops united in the Bishops Conference. c) When a bishop concerns himself about the formation of his priests, he should combine this with his own personal formation. Experience proves that the more a bishop is engaged in his own formation, the more he can inspire the formation of his presbyters. d) [It is necessary] to strive for a paternal approach to all, especially to the priests. Friendly informal visits of priests should become an opportunity to bring human beings together and for their mutual support. It must be made clear to everyone that authority has been changed into service and power into love. e) In connection with this meticulous and ardent care of the priests, it must be remembered, that the social conditions in the last decades have changed considerably. The negative impact can be seen on the young priests, who leave the priestly service or behave improperly, as well as in the conduct of some older priests. f) [It is necessary] in the committee for the clergy at the Bishops Conference to secure representation for all dioceses. Each diocesan bishop could select one of his priests for this service. The assigned priest, along with the bishop and the Committee for Clergy at the Bishops Conference, shall elect suitable helpers for the care of the priests in their own diocese. g) Not to forget about the priests in crisis, as well as those who have abandoned the priestly service because of [the demands of] celibacy or due to loss of faith. i) [It is advisable] to become the soul of team co-operation, of preparations and organising of the pastorisation and evangelisation, as well as of the formation plans [programme for spiritual development]. The more involved a bishop is, the more he inspires the others to creative co-operation. For the Bishop is the main organiser and co-ordinator of all activities in his particular church. Whether the whole diocese exhibits activity, stagnation or passivity depends upon him. j) He must be able to freely and openly listen to the co-workers and to support the initiatives they propose to him. 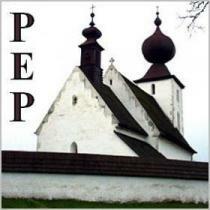 B) In all of the Slovak dioceses about 35000 priests are at work. In seminaries there are about 750 theologians and each year about 120 new priests graduate. – They should not forget about our brothers from other Christian Churches (cf. PO 10). – to develop communication abilities, such as readiness to listen to others and in the spirit of love have a receptive heart for the human relations in their manifold circumstances. (cf. OT 19). – after about five years of priestly service they shall attend “a priestly month” dedicated to spiritual exercises, special courses and discussion of pastorisation problems (cf. RFIS 101d). F) A negative feature is the fact, that in the curricula the theoretical subjects and lectures significantly predominate, while in all subjects preparing (them) for work with people the ratio of lectures to practice sessions and seminars is about one-to-one. In terms of communicating with laymen and their communities, building up communities and new evangelising, the formation of the priests is insufficient. Only a fraction of priests were sufficiently able to come to terms with the new requirements. To prepare the priest for the service in the Church, which is “the chosen kin, the royal priesthood, the holy nation (1 Pt 2:9), summoned to herald glorious deeds in the name of the Trinity of God”. To enable the priests, whose formation was not sufficient for known reasons - to complete their theological knowledge and to master adequate pastorisation methods for successful action, in compliance with new evangelisation. Because the new evangelisation is a matter of the whole life of society and its aim is shaping mature communities (ChL 34), to prepare the priests for building up the parish community, which means an effective co-operation with the Bishops, among themselves, with the laymen and their communities and movements. To bring in line the formation of the priests with the requirements of the Church documents. a) To regard the priorities of the pastorisation presented by the Holy Father in his apostolic letter, Novo millenio ineunte (educating to sainthood, building up a community as a manifestation of the New Commandment, new evangelisation, etc.) as a basic norm for the pastorisation in the period to come. b) [It is advisable] not to neglect “the classical means, such as the effort to reach the perfection appropriate to the priestly profession” ( PO 12,13), developing the clerical identity, the theological – especially the biblical and priestly studies, saying prayers, adorations in front of the shrines, the rosary, spiritual reading, adequate rest, etc. c) [It is necessary] to give the real meaning to the existing meetings having as their aim formation – recollections [rekolekcia: group meetings for deliberations about religious issues which are generally held monthly for priests], spiritual exercises and renewal. To counsel the priests engaged in pastorisation supplementary studies or courses during the vacations, especially ones about biblical theology, documents of the Councils, and the post-Council documents on pastorisation within the parish community. To permanently form the priests according to these directives. d) To support all kinds of formal or informal communities and co-operation between the priests. e) To establish in each diocese “a confidential telephone line for priests”, namely to nominate a well-experienced, wise and dedicated priest, who enjoys the general confidence of his fellow brothers, whom they can approach with their problems in times of personal crisis. f) An important part of the formation in the seminaries should be the stress put on the free choice of priesthood, development of one’s own identity, growth towards a humane maturity – which brings with it fidelity and endurance. g) To provide for sufficient numbers of spiritual tutors [teachers at theological faculties who guide a definite group of students] in seminaries, so that the spiritual tutors can get to know well the students in their care and to communicate easily with them. l) Urgently recommended to our parishes is more care of the acolyte boys. Regular get-togethers with the priest at sports tournaments, on excursions and competitions, in preparations for the liturgy and the study of necessary skills, visits to seminaries and meetings with theologians, are unique opportunities. A) Since 1990 the monastic communities have again been able to officially function in Slovakia. It was a big change in the life of the separately living members of monastic orders. Since the 50s it’s now been forty years. During that period no communal life existed for them; they used to meet sporadically in secrecy. Renewing monastic houses reversed the closure of the cloisters, but forty years has also meant large changes in the numbers of monks of the particular monastic orders and in their age range. In general, members aged fifty, who could make a link between older and younger members, are few. The admission of new candidates offers hopes for a renewal of monastic life in the province of Slovakian Church. B) The sacred life is deeply ingrained in the example and words of Jesus Christ; it is a gift of God – the Father of the Church – by means of the Holy Ghost. It finds itself at the very heart of the Church as an element decisive for its vocation. A) Secular Institutes are a relatively young form of the sacred life. One can read about them in the apostolic constitution Provida Mater Ecclesia (1947). Worldwide there are about 130 Secular Institutes. They are associations of laymen and clerics, [“sic” in original] living in their own environs, adhering to the teaching of the Gospel; they strive for a Christian purity thus contributing to an inner sacred life (cf. CIC 714). The members transform their lives into an apostolate. It consists especially of transforming the mundane reality in accordance with the Gospel, as an apostolate of the present time and in every milieu, apostolate of witnessing the Christian life in their own surroundings, as well as any form of an active apostolate. The members usually don’t disclose their dedication to sanctity. They live in ordinary conditions of this world in accordance with their norms and regulations — either in their families or in a group of the fraternal life (CIC, 774) In Slovakia the first Secular Institutes came into existence in the sixties and seventies and at present there are nine of them. (Some of them international) Their representatives attend also congresses of the World Conference of Secular Institutes (CMIS). First mention should go to the aspects of the community’s life that it wishes to highlight through its sacred life – to the importance ascribed by Jesus Christ to the Kingdom of God as a community of believers who are invited by God to live in a community, namely to pray alongside others, and work alongside others close to the Father, who is visibly present in his Son. They are projecting their inner life outwards, not only into the Church, but into the whole word, in accordance with their own charism. The whole of this people of God live in accordance with the values of poverty, purity and obedience. The task of the monastic orders communities, which make a component of the Church, is to present by a particular mode of life and by personal sacredness the face of Jesus Christ who is “poverty-stricken for the sake of the spirit”, (and) who is “pure of heart and obedient to the will of Father, unto readiness to die by crucifixion” Each monastic order community has its own charism and it is the duty of the order to actualise this charism for the benefit of the particular and the universal Church. To value the sacred life is to maintain its growth and quality Thus its aim is to preserve the fidelity to Jesus Christ. To preserve the trust in the call of Jesus, who even now calls people to follow Him and to believe in the Holy Ghost who are the creator and donor of the charism of the sacred life. The goal is also efforts for a new evangelisation – exhorations to prayer, zealous exertions in bearing witness to the Word, appropriate catechisation, help for those who try to give the Lord a magnanimous answer. D) [To foster] co-operation with the Bishops Conference and the World Conference of Secular Institutes. a) To co-operate with all members of the Church in the sense of a dialogue, above all with the bishops. To be sensitive in the communities to the needs of pastorisation in the parishes. b) To combine closely the modes of contemplative and of the active life. This will enable the exacting calling to be fulfilled. Jesus Christ is a great example of how the communion with the Father can be united with an amazingly active life. c) To abide by the enculturation of the sacred life, so that the way of thinking and acting of those “who closely follow Jesus Christ” enable them to find what is fitting for man, to create a real framework for the human life. In this manner the Councils on poverty, purity and obedience will show their anthropologic implication in its full light. d) To introduce in the prayers of the Church a new terminology: to pray for the “calling to priesthood and to the sacred life” (instead of the current notion: “for the priestly and monastic profession”). A) One can tell that at present the faith has become “a private affair” and the social dimension of the Church is more and more lost. The society is becoming to pluralistic secularised, individualistic, often consumer-oriented. The notion of truth has become very relative. Therefore to a great proportion of believers the faith and the life have become disparate notions. People are not prepared for the current threats to the faith, coming from the mass media. Many of them lack guidance to an existential finding of God, which would change a formal piety to a conscious piety. The veneration of the Virgin Mary sometimes assumes a very cheap and naïve character. The believers are not well enough prepared for a dialogue within the Church and outside it. Most of the activities in the parish –as in the past – depend almost exclusively on the clergy, leaving the potential of the laity untapped. Such a situation is changing very slowly. In addition any spread in the pattern of piety among males is missing. A healthy piety in men is nevertheless important for a harmonic married life and in the family. – Places of pilgrimages are still well attended. It is necessary to announce the word of God in an organic way [“sic” in the Slovak original], systematically so that it can reach the adults so that they may make the Gospel the moving force of their lives, and thereby witness Christ in their working ambience, cultural, social and political activities. The life of believers lacks at present a clear decision to be radicalised - “emphasis on sanctity is becoming more than ever an urgent task of pastorisation” (NMI 30). A) In the past decades small communities have begun to form, with the aim of deepening mutual solidarity, from which Slovak movements centred on children, youth, and families have gradually developed The life of the laymen was stimulated by movements originating abroad (Focolare, Neocatechumal Way, Charismatic movement and others). Their assets consist in a new mode of living up to the Mysterium of the Church, as well as in a deeper understanding of the Church as a community participating in the evangelisation and formation of mature Christian personalities. – The contribution to a deeper engagement of varied movements in the Forum of the Christian Institutions (getting acquainted, exchange of experience and opinion, dialogue, co-ordinating activities, positions taken in various important problems, making use of the potential of lay movements in the task of the Church). Representatives of 40 varied Christian associations, institutions and movements attended meetings of this Forum. The Forum meets twice in a year. – In some communities there prevails the desire just to have new experiences and a spirit of improper competition. The basic aim of the movements and associations is to help make Christianity the style of living and culture. The laymen are to get impulses, in order to become able to lead a dialogue in the society, to defend the Catholic faith, and to advance humane and Christian values. In this sense the believers are to master (positive) practices of evangelisation, which is to be based on personal encounter with Jesus Christ [“sic” in Slovakian original]. e) To regularly update the brochure Christian Movements, Associations and Institutions of Laity in Slovakia; to publish an informative newsletter by the Council for Apostolic Movements at the Bishops Conference of Slovakia. “Over the last 50 years, a completely new type of lay Catholic organisation has emerged in Europe. The most significant examples are Neocatechumenal Way, Charismatic Renewal, Opus Dei, Focolare, and Comunione e Liberazione. New religious congregations such as the Community of St. John and the Legion of Christ are closely related to these lay organisations in their beliefs and methodologies. What all these movements have in common is a mixture of effective modern communication and lobbying techniques and neoconservative or fundamentalist moral and political beliefs. The result is an extremely traditionalist message being spread by the Internet and pre-Enlightenment moral beliefs being propagated at pop concerts." (Washington: Catholics for a Free Choice, 2003), p. 30.